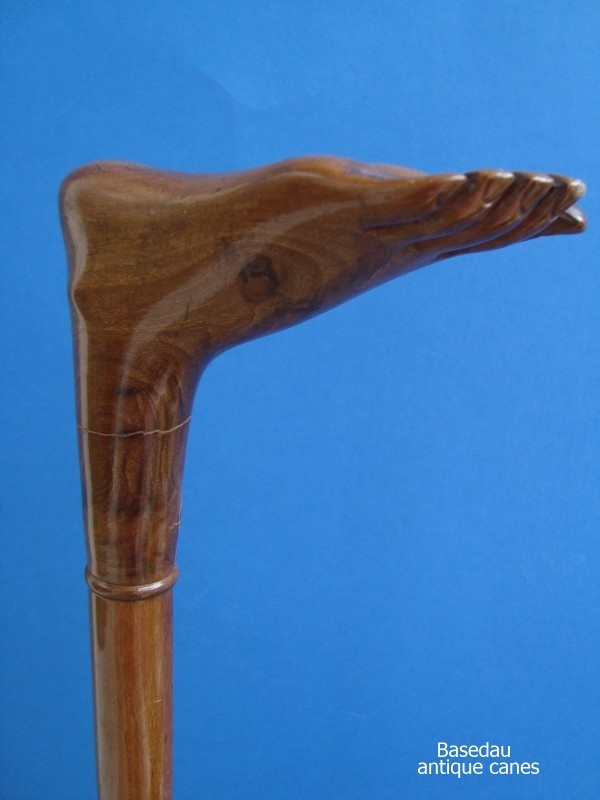 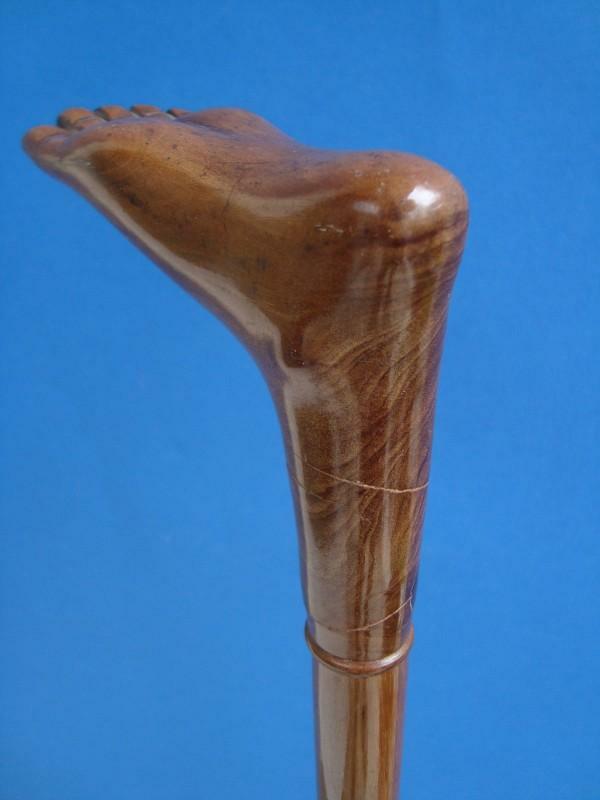 A wood walking cane with a varnished veined handle carved as a feet. 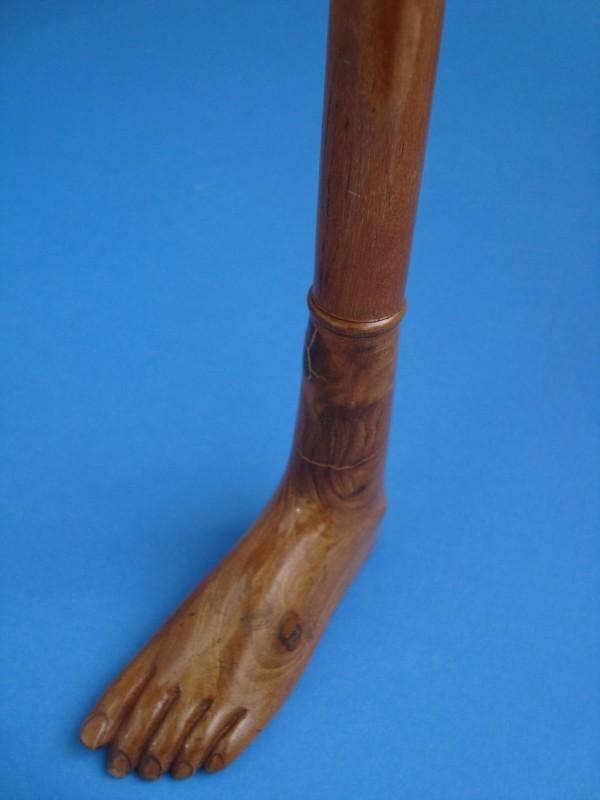 The handle is fitted on small wood ring onto a light brown shaft with a horn ferrule, about 1900. 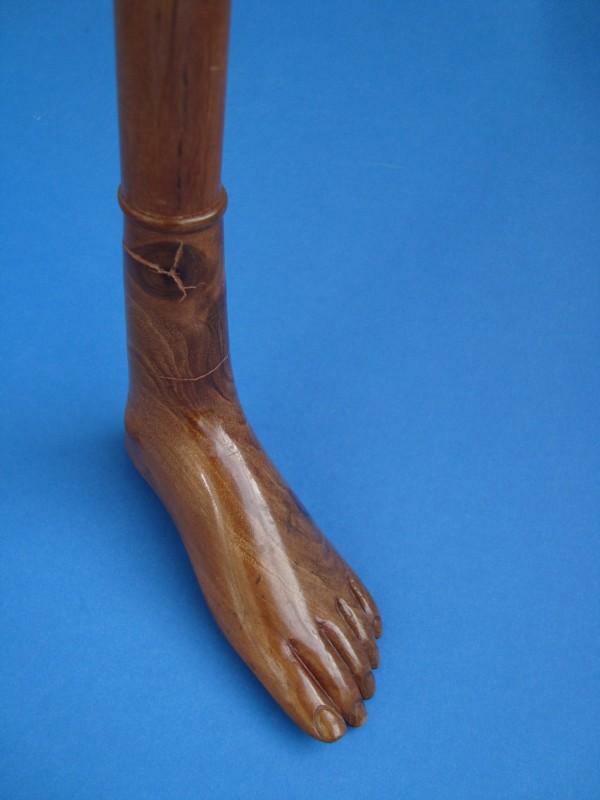 Measures of the feet: wide by 10 cm,4 ", high by 8, cm, 3,3 ", overall length 90 cm, 35 ".